If I say racism in the present day South Africa is alarming and abysmal it will definitely be an understatement. 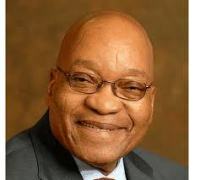 Violence and racism have become inevitable norm and by extension, indelible since Jacob Zuma surfaced as SA’s president in 2009. 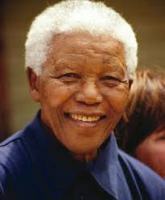 His emergence finally engraved high-handedness of South Africans by re-militarising South Africa Police Service, SAPS. This issue, however, has in recent time, been despised by many writers globally. Even as the violent state of the country is still being discussed and condemned the world over, South Africans have resorted to delving into the act of bringing back the bad blood of apartheid (which is loathed everywhere) by embarking on absolute discrimination. Be that as it may, it is a glaring fact that the long aged apartness among Blacks (faction/tribal hatred), Whites (Afrikaners and Liberals) still lurks. What I cannot fathom is the visible segregation between those that call themselves “Whites” and “Blacks”. Another phenomenon is the reason behind the re-militarisation of the SAPS which Nelson Mandela’s administration had demilitarized in 1994. Today, Many South Africans are screaming aloud to the watchful eyes across the globe because to them, the listening ears (the government) have deliberately become deaf to their yearnings. Most people would think that the days of racism are gone, or that the days of oppression and suppression have been erased from South Africans. NO! It is not so to those who reside there. As it is, the pains people feel in SA are not known globally except when serious crimes make rounds in the news. South Africans had cried for years before their independence, they are again crying out years after independence. For how long will they continue to cry? With what is happening, I will categorically tag it as the most perilous kind of racism in disguise. Generally, racism in South Africa has overwhelmed white-black fight; the blacks are now being used to fight their fellow blacks. It is not just fighting their fellow black South Africans, the racism is also on any black whether or not he or she is from South Africa. No wonder Nigerians are being treated like they are predators. This could be what made the South African Government to deport over 120 Nigerian citizens on the flimsy excuse that they possessed Yellow fever vaccine Certificates that were seen as fake. Yet the expatriates from South Africa keep milking Nigeria and no one talks about it. The veracity of the whole issue is that many South Africans still carry the grudges of things that happened years ago. The bone of contention is that a handful of many South African young men and women who were told of the stories of the bitterness in the past have joined forces in making sure that apartheid lives forever. They are loath to change from these barbaric acts. The worse is from the SA police officers who are very adept in discrimination that is why they can commit any crime over there and sweep them under the carpet. They will kill with impunity because they had been assured by the then deputy police minister, Fikile Mbabula, quoting the justice minister, Susan Shabangu, to “kill the bastards” and forget the laws. Last year around August, the country’s police service was globally lambasted for shooting and killing 34 striking miners. The sporadic shooting was to prove to people that they acted on that assurance. Atlegang Aphane, a three year old boy was shot by the SA police with the excuse that they thought the little boy was holding a gun. At another point, Andries Tatane was beaten to death by eleven policemen simply because he was stopping them from abusing an old man. It is very obvious that no one has the prerogative to exercise his or her fundamental human right in South Africa. However, to really show the extent of this discrimination, blacks who are from other countries are always oppressed. If not that the 27 year old Mozambican Taxi driver Mido Macia was filmed being manhandled, handcuffed and dragged by a police van through the streets to a police station in the east of Johannesburg, they probably would have denied it. It’s unfortunate that Mido later died in the police custody. It is appalling! Score years ago, Martin Luther King had a dream that people would work together in harmony regardless of the colours of their skin but the content of their character. He had his dream on the State of Alabama. But in South Africa as it is, do we have to conclude that that Luther’s dream has been shattered? The rate at which racism is being flourished, certain black mother or father may one day be circumscribed from embracing his or her own children simply because their wives or husbands, as the case may be, are whites. I believe that there are several other issues that the country faces at the moment and it is definitely not going to be remedied by tribal and racial animosities. Therefore, the earlier South Africans begin to realize that the world will not end tomorrow the better. If only they will be able to ask themselves how long this violence will continue among themselves. The only people who can put a stop to this modernized apartheid are the younger generation. But before it could be done, justice should be given to the offended. Or are we going to say that those administering justice and the bank of justice are bankrupt? I don’t think so! One day shall come when it shall be a day of justice because peace cannot work when there are still grudges in people’s minds. Honestly, this SA issue is something else. thumbs up for writong this piece.